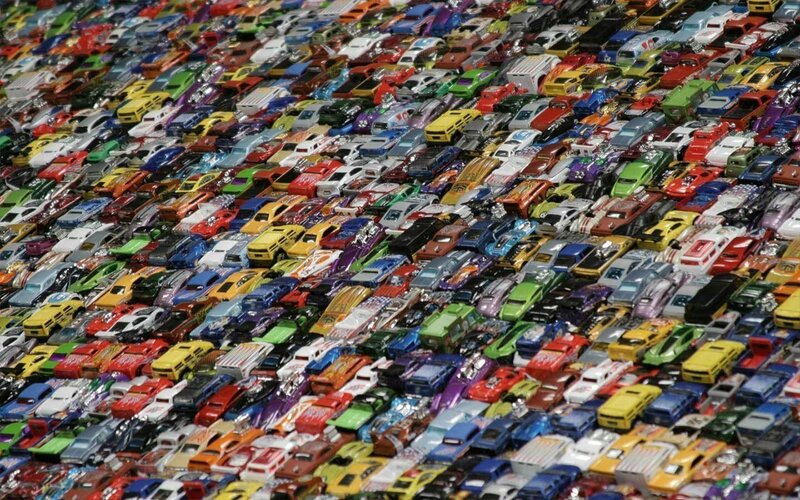 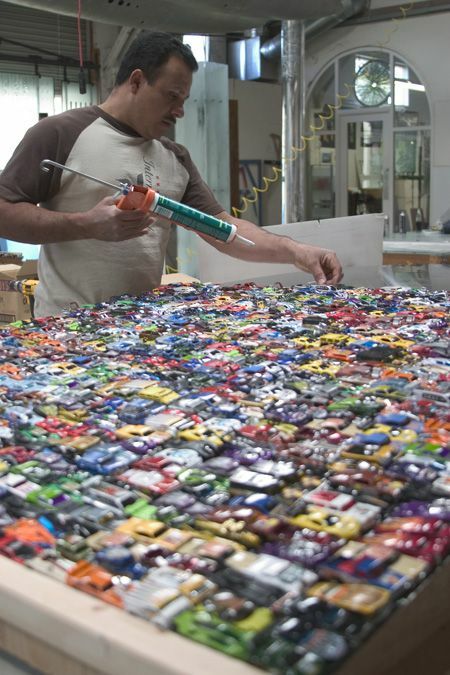 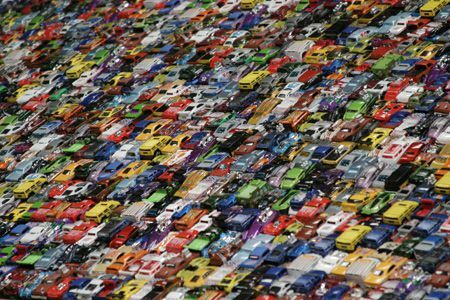 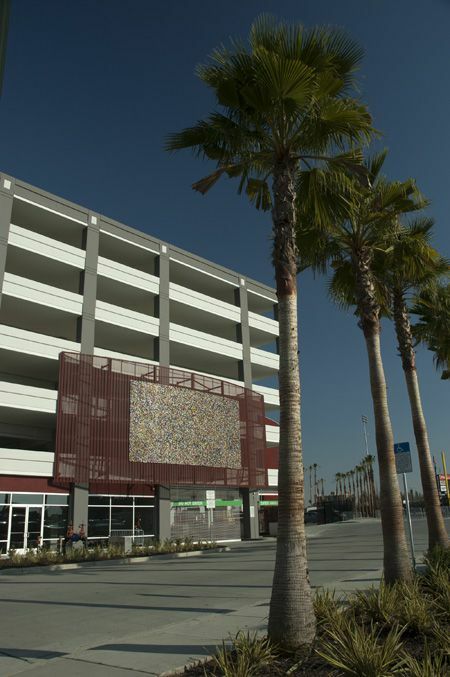 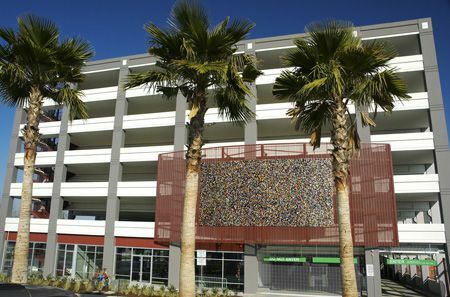 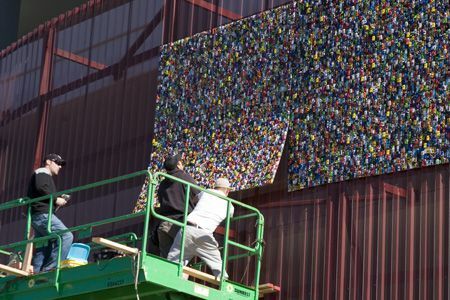 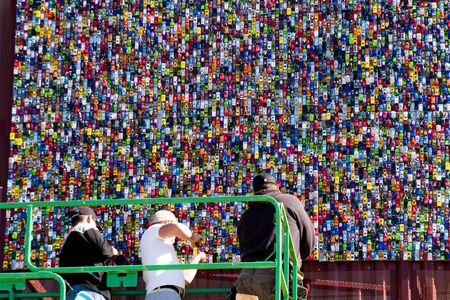 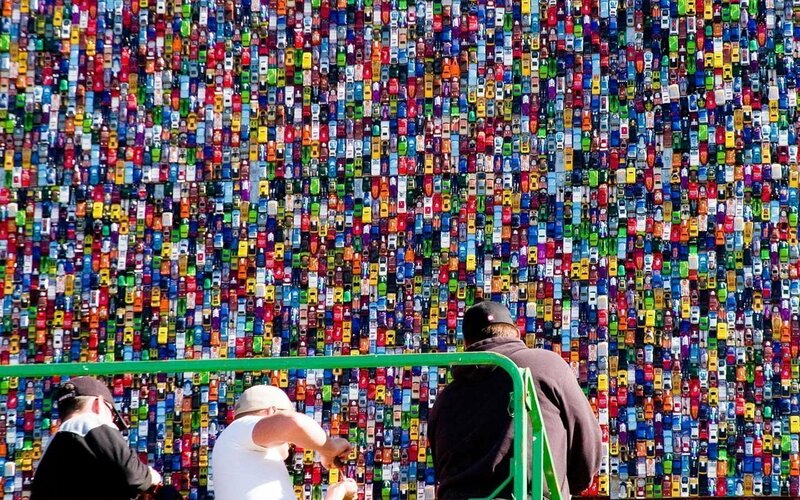 22,000 Mattel Hot Wheels cars make up this piece of art on the west side of the Stockton Arena parking garage. 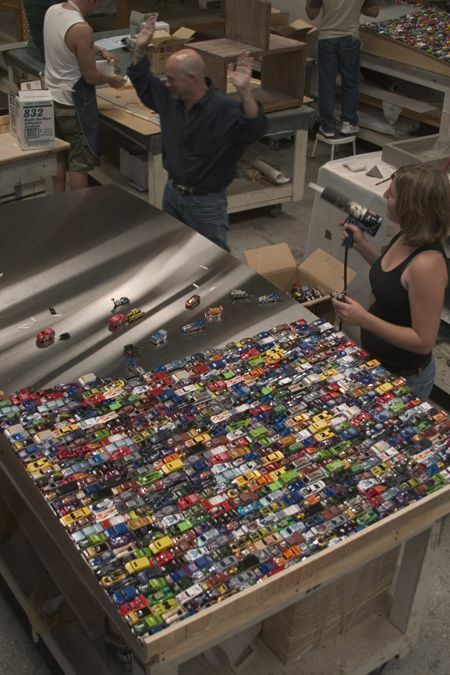 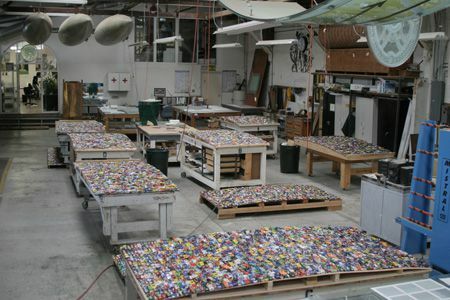 The cars are epoxied and urethane sealed onto four-foot by eight-foot steel sections. 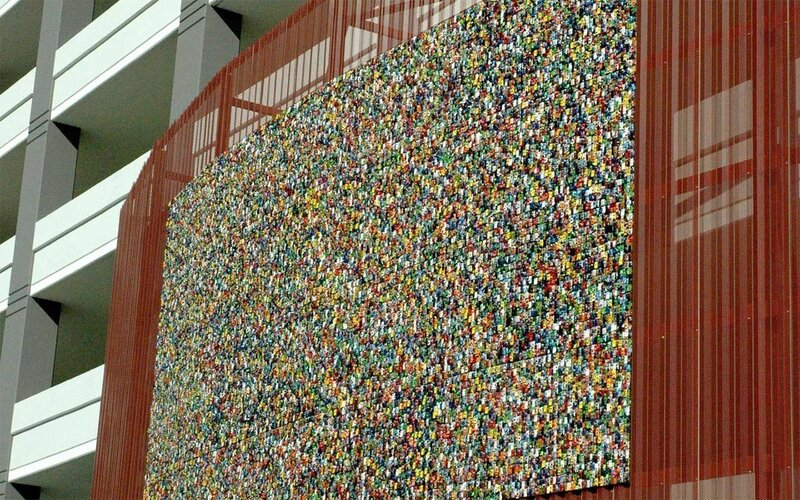 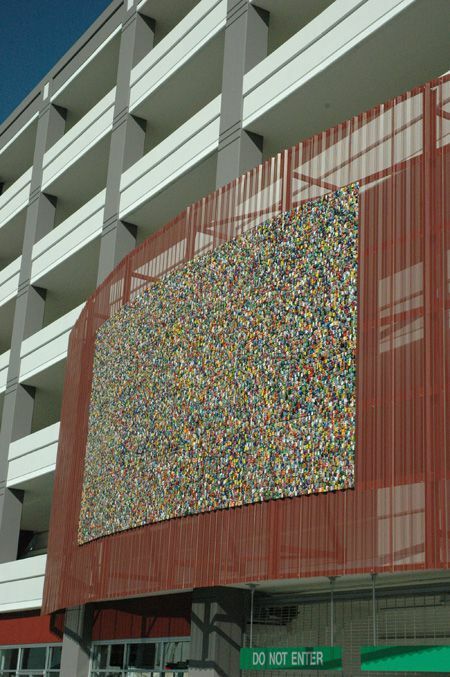 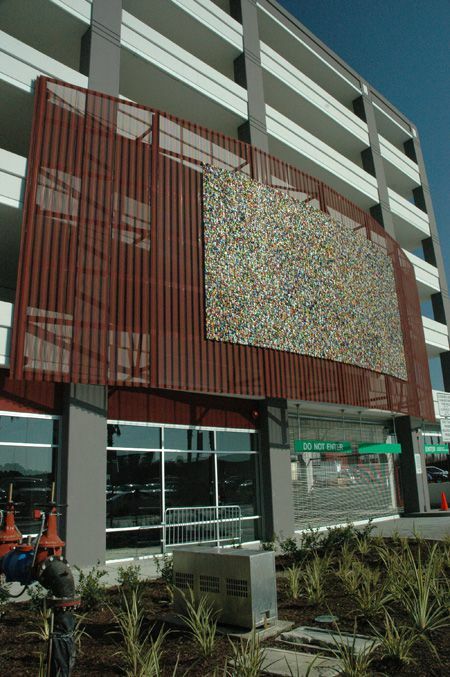 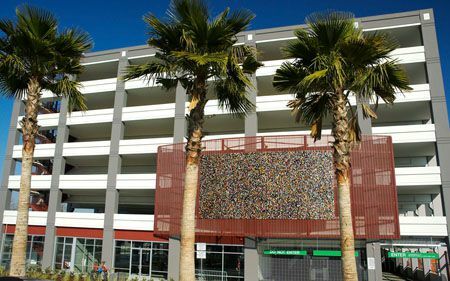 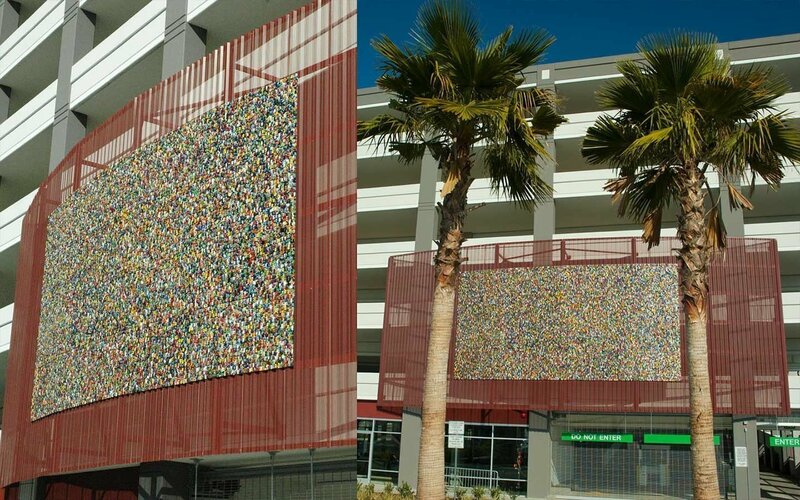 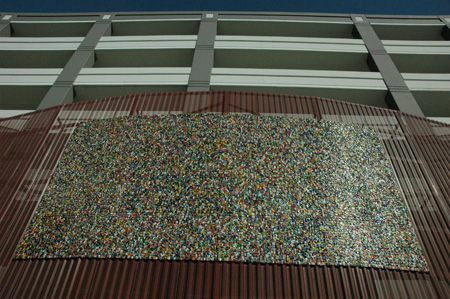 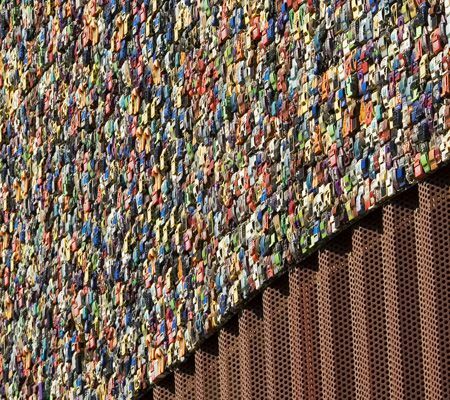 The colorful pattern of the mounted cars covers about two thirds of the metal screen. Huether was awarded the commission by the Public Art Jury in 2004, after winning a competition for the project. 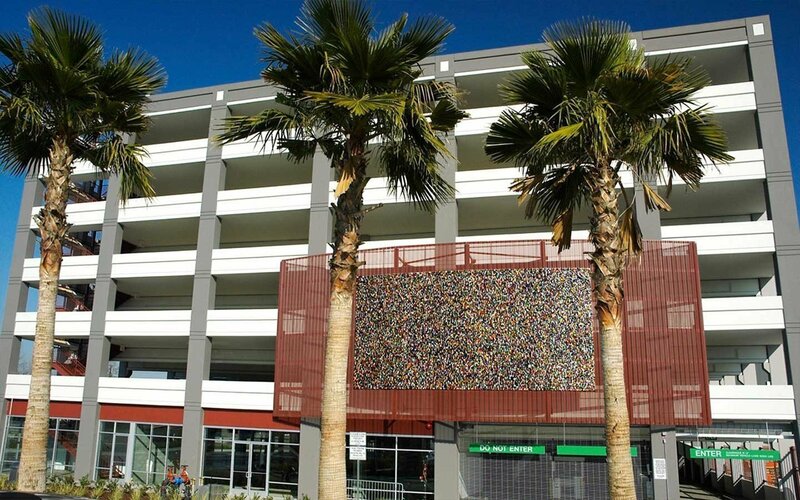 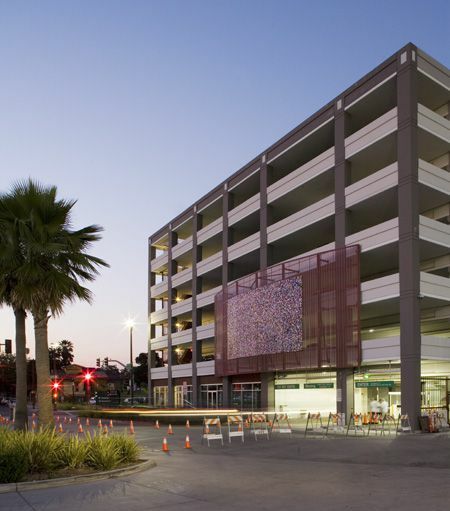 The project was funded in accordance with the two percent for public art ordinance for redevelopment projects and capital improvement projects within the City of Stockton.